The new NSW Pumped Hydro Roadmap comprises 24 energy projects with a total generation capacity of around 7,000 megawatts, all shortlisted for development on dams owned and operated by WaterNSW. 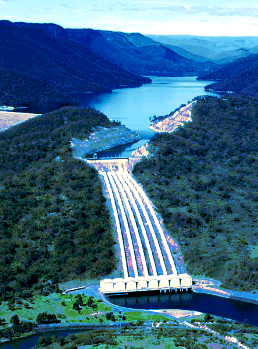 Most of the projects are pumped hydro energy storage. Minister for Energy and Utilities Don Harwin says the potential for pumped hydro to supply on-demand energy is extraordinary. “Pumped hydro delivers the long-term, utility-scale energy storage that is critical to achieving a smooth transition to renewables in NSW,” said Mr Harwin. Pumped hydro stores energy for when the grid needs it by pumping water up-hill when demand is low and then releasing it down pipes through a turbine to generate electricity when demand is high. Mr Harwin says the large-scale projects that will be developed using WaterNSW assets will reshape the NSW energy landscape and help support the State’s $26 billion pipeline of renewable energy projects. Minister for Regional Water, Niall Blair said combining water security infrastructure with renewable energy options is a win-win. “This is a great use of our dams - we know clean energy projects like this are key to attracting investment in our regional communities and ensuring their growth for generations to come,” Mr Blair said.